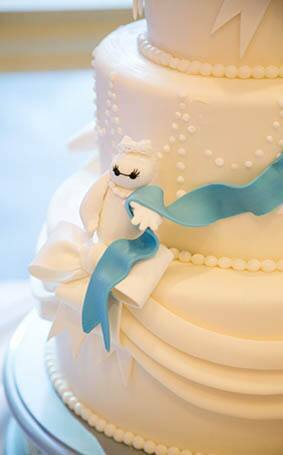 Everyone's favorite personal health companion/superhero takes the stage on this three tier wedding cake. 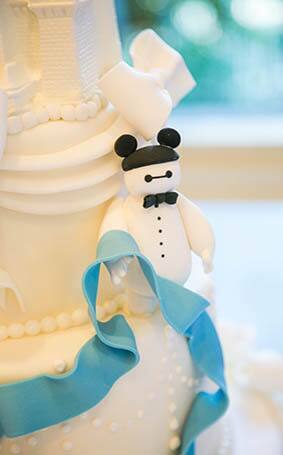 Mr. and Mrs. Baymax are joined together with a lovely blue ribbon, which adds a nice pop of color to the all-white dessert. And how cute are those little Mickey Ears?! 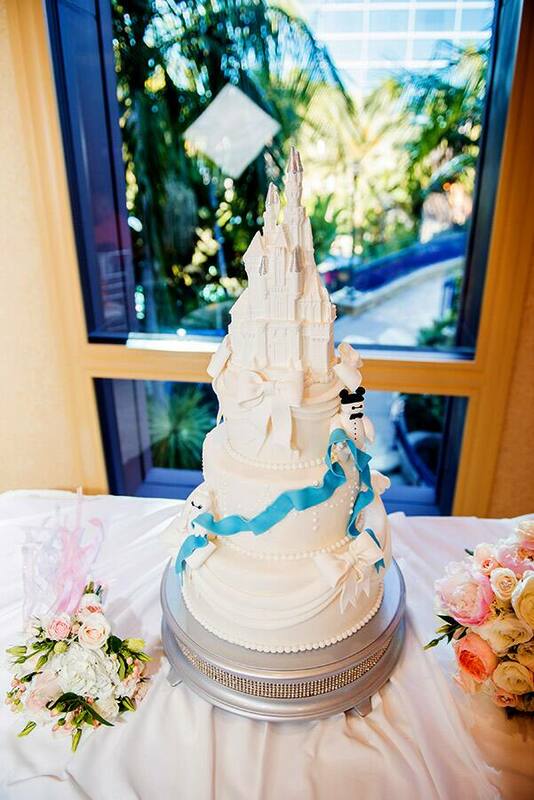 Delicate details and fondant bows complete the look while a stunning castle finishes off the magic.